I've just found a nice interview with Mr Cycle himself: Charles Nenner. 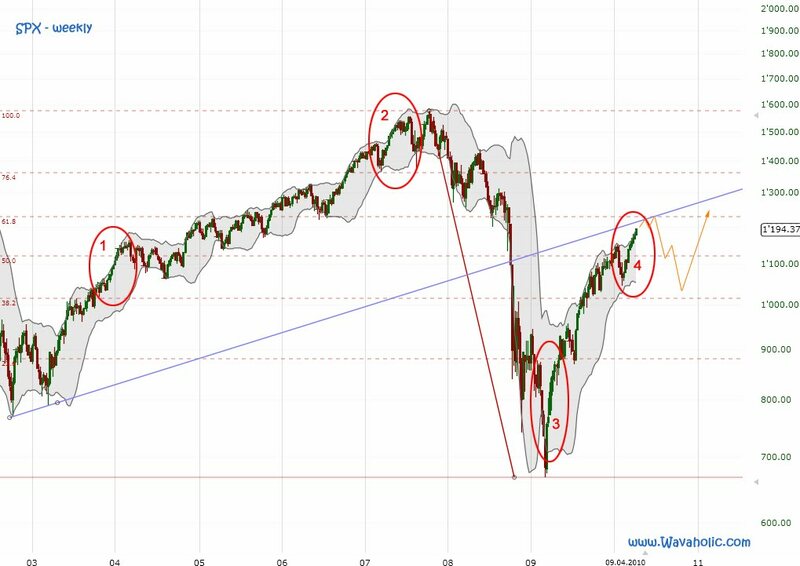 About the stock market he says: a top in the third week of April (next week), a correction in May/June followed by another rally into August. This is very interesting. In today's post I wrote that fractal 2 looks very similar to today. If this fractal continues we should see a high next week, some sideways action in May, another slightly higher high early June a big correction in June/July and then another big rally into the first week of September, so, very similar to what Charles Nenner expects.